Buy 72 or more for $8.07 each. 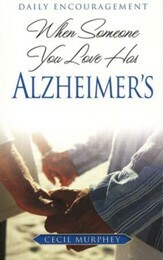 When the person you love and share memories with is no longer able to recall your journey together, there is great loss. Tranquil paintings by popular artist Michal Sparks provide a sanctuary for caregivers, friends, and family members as they draw strength from firsthand stories of those who have walked a similar path. Murphey offers simple, invaluable guidance on how to take care of yourself and seek assistance, shape new ways to communicate with your loved one, and introduce activities and exercise to enhance health and mobility. 6" x 6.25" hardcover; with presentation page; 64 pages. 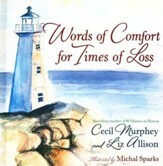 Bestselling author Cecil Murphey, creator of When Someone You Love Has Cancer, shares another inspired offering. With a caring spirit, he provides comfort, advice, and prayers for those who journey alongside a loved one whose memory is fading. For those walking a sometimes lonely journey, this gift offers a gentle voice of support and is a hopeful reminder of the moments of peace that they and their loved one can still experience together. Michal Sparks artwork can be found throughout the home-furnishings industry in textiles, gift items, dinnerware, and more. She is the artist for Words of Comfort for Times of Loss, When Someone you Love Has Cancer and A Simple Gift of Comfort. Connect with Michal at www.michalsparks.com. 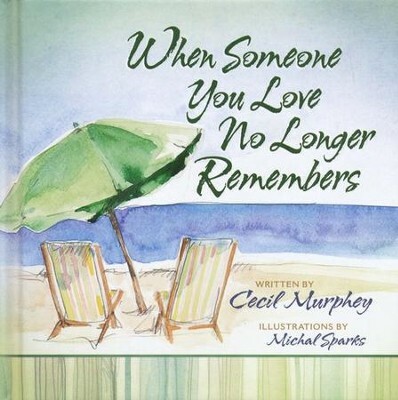 Cecil Murphey is an international speaker and bestselling author who has written more than 100 books, including New York Times bestseller 90 Minutes in Heaven (with Don Piper). 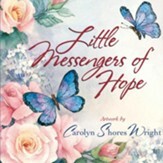 Cecil has served as a pastor and hospital chaplain for many years, and through his ministry and books such as When Someone You Love Has Cancer, Words of Comfort for Times of Loss, and When Someone You Love No Longer Remembers, he has encouraged thousands. I'm the author/artist and I want to review When Someone You Love No Longer Remembers.